So you want to go to UCLA. Or Cal, aka Berkeley. Or UC Irvine. Or Santa Barbara. Maybe Santa Cruz. Perhaps San Diego. Could be Davis! They are all such amazing schools–and you should do your best to write killer college admissions essays to get in. If you are trying to write a college essay for the University of California’s Prompt #1, you should drop everything and read this super helpful post on how to answer it. Make sure to read the comments under that post, since students have asked questions about possible topics and I gave them specific advice and tips–which you might find helpful, too. Only read this if you are applying to a UC (University of California school, such as UCLA, Berkeley, Santa Barbara, San Diego, Irvine, Santa Cruz, etc.). There are two college essay prompts for their required personal statements for incoming freshmen. Read this closely. Note that it asks you to describe one thing and then tell about another–so there are two points you need to address in your essay. When you describe the world you come from, think of this in a figurative sense. Do not just write about your hometown. As a “community,” almost anything can be your world (a mini-community of shared activities, people, passions or places), from your yoga class to your bedroom to your job washing dishes to your grandmother’s kitchen making tortilla soup to your two moms. It’s wide open. Just pick a topic. Also, the examples they give, “family, community or school” are just that, examples. Do not write a little about each of these. And do not just write about “my family” or “my school.” Way too broad. Write about your uncle’s magic shop in an underprivileged neighborhood, or the Scrabble club you started at your school even though you are the world’s worst speller, or the old movie theater in your town where you first fell in love with cinema and the power of a visual story. Quickie World-As-A-Community-Finder: What do you like/love to do? Where do you do it? Who do you do it with? Bingo! You have just landed on one of your worlds! Another way to think about your world would be to show how your background has been challenging on some level–and how that has shaped and defined who you are. In a way, your world is your life with its unique set of issues, obstacles or challenges. If you have one piece of your life that shapes your “world” in a major way—something from your personal, cultural, educational, etc. background—and that colleges would understand you better if they knew what that was like, consider writing about it. The world of living with two gay dads. The world of living with an autistic sister. The world of living with a bi-polar mom. The world of living with immigrant grandparents. The world of living on food stamps. The world of living with perfectionists/slobs/religious nuts/alcoholics/seven siblings/foster home/military parents/home-schooling/white parents and you are asian/constant moving/famous mom, etc. To write this type of “world” essay, pick a real-life example of a “time” in your life/world when that issue affected you, start your essay describing that specific incident or moment, then go into how dealing with that reality has affected you. You might be surprised what comes out of you–and how it makes you feel. I have had students who have written about almost all of these “life” issues. Their essays have been intense and often soul-searching, but also memorable and meaningful. Although I think the bulk of your college application essay should focus on this world, and how it has affected you, also address the second part about your dreams and aspirations. This has the potential to be general and boring, so make sure to talk specifically about how you will apply the lessons (values, skills, ideas, insights, etc.) you have learned in your world to your future. If you are one of those A-type overachievers (hey, it’s OK, these UCs are insanely competitive!) who still feels insecure about understanding the UC prompts, check out this 50-minute video of a counselor guru spelling it all out at a convention for college admissions folks. Just don’t let her freak you out too much. Definitely good info here, but I say overkill. Best thing to help you with your Describe the World You Come From essay is to read SAMPLE UC PROMPT 1 ESSAYS! Make sure that you SHOW the World You Come From by describing the setting. This post can help you write your 650-word essay for the new Common Application. Need help getting started? 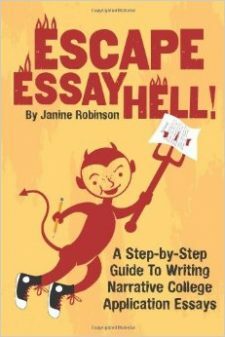 Here’s my sure-fire brainstorm guide: Jumpstart Your College Essay. Still need a memorable topic for your college admissions essay? Here are some great posts to help you brainstorm: Twilight as a Topic? and Five Hot Topic Tips. Need help writing a “grabber” introduction for your college admission essay? Read this post, How to Write an Anecdote. Here is a post by another essay “expert,” Allen Grove, who shares his ideas in Tips for Writing about UC Personal Statement Prompt 1 for About.com. The various UCs all seem to have slight variations on exactly what they look for in these personal statements. This personal statement guide is from UCLA’s admissions department; this personal statement guide is from UC Davis; this personal statement guide is from Berkeley. I think it might give you an idea of what they want from the two personal statements, but not a lot on how to deliver it. That part is left up to you, as far as I can tell. *Also, if you are still looking for a “world” to write about, there are lots of ideas in the comments. Definitely worth scrolling through to see what others are thinking of writing about. Thanks for sharing all your ideas! I believe you can write these UC essays on your own. But if you feel like you would like my personal help with them or other college application essays, find details on my Services page.